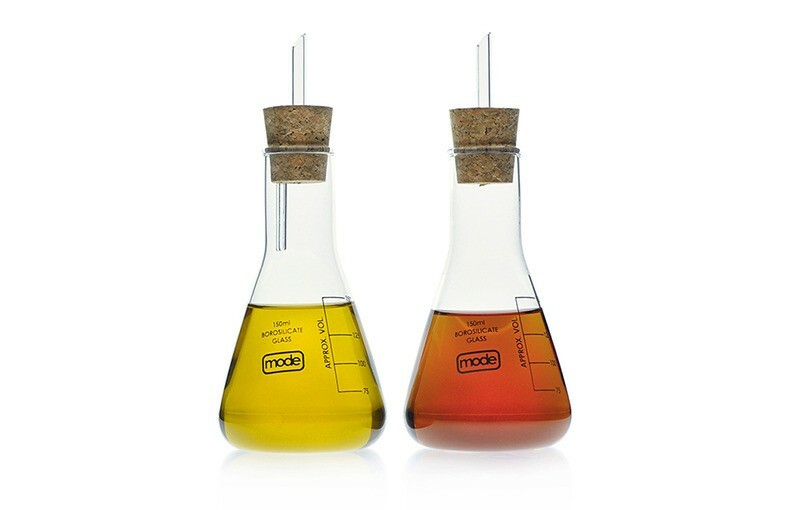 lab-ware style oil and vinegar drizzlers inspired by the iconic Erlenmeyer chemistry flask with borosilicate glass pourers to provide the perfect flow with a breather tube for oil. ﻿earl brings a scientific element to sophisticated dining. size: 160 x 70mm dia.